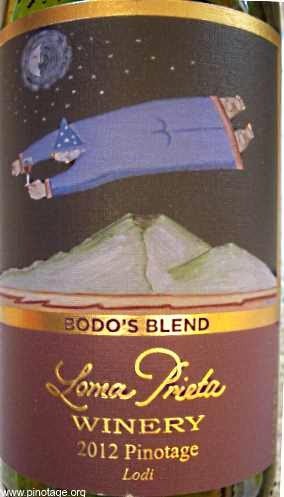 My Wine of The Month for January is Loma Prieta 'Bodo's Blend' Pinotage 2012 from California. I've been looking forward to drinking this since November 2014 when I was in Concord, North Carolina attending the American Wine Society Conference awards dinner and was surprised and delighted to see it win the 'Best Red Wine' trophy. It's clear to see what seduced the judges. There's a perfumed inviting nose. In the mouth you get sweet dense berry fruits rich with tantalising 'garrigue' wild herb flavours. This wine is irresistible!! 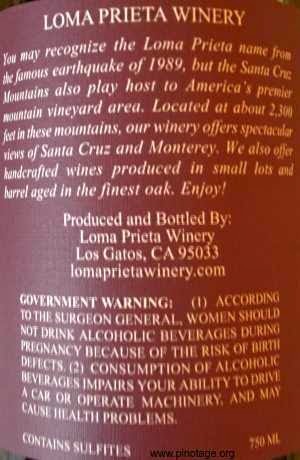 Although the label just states Pinotage the name 'Bodo's Blend' prompted me to ask Loma Prieta owner/winemaker Paul Kemp to explain. "Bodo is the person on our label," replied Paul. "A medieval magician. This wine is about 20% Petite Sirah from Amorosa Vineyard and 80% Karma Pinotage. They are both 2012 and from Lodi." 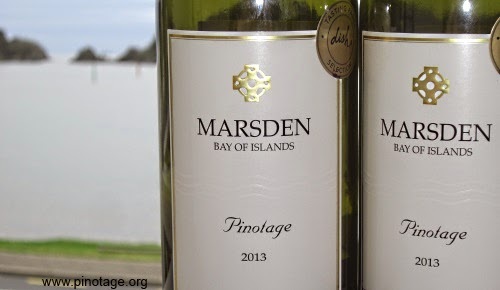 My Wine of the Month for January is Marsden Estate Pinotage 2013 made by Rod McIvor at his winery in the Bay of Islands at the north-east of New Zealand’s North Island. 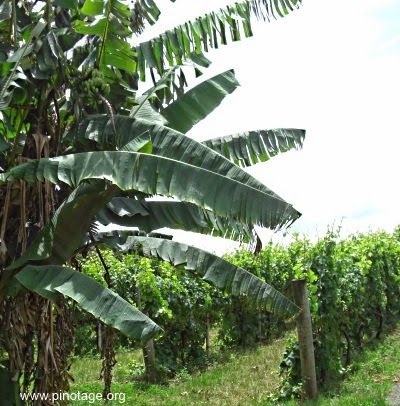 Rod also makes wines for other vineyards, including Pinotage grown by Waitapu Estate, the most northerly vineyard in New Zealand. 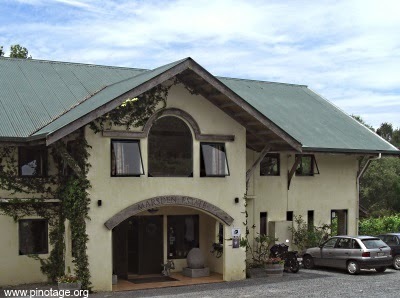 Marsden Estate, founded in 1993 by Rod and Cindy McIvor, takes its name from Samuel Marsden who came to New Zealand as an Anglican missionary and planted the first vineyard on the coast nearby. We enjoyed Marsden Estate 2013 Pinotage first at the excellent restaurant under a canopy of vines overlooking a lake and vineyard, run by Cindy McIvor and we bought bottles to take away. A walk along Marsden’s 250 Pinotage vines showed healthy growth this year with ample bunches of small green berries. Marsden Estate 2013 Pinotage has a sweet raspberry nose and soft gentle fruit flavours. There are soft tannins, though the wine spent 10 months in oak. The wine feels light bodied yet has 14% abv. It is closed with a DIAM cork. Later, in our apartment overlooking the Bay of Islands, we found it to be an excellent partner to take-away pizzas. 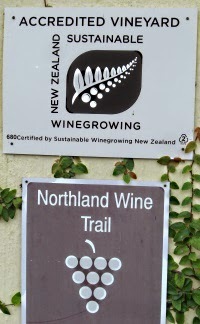 Olssen's Vineyard in Bannockburn, part of New Zealand's Central Otago wine region, (the world's most southerly) has changed ownership and their small planting of Pinotage vines has been uprooted. 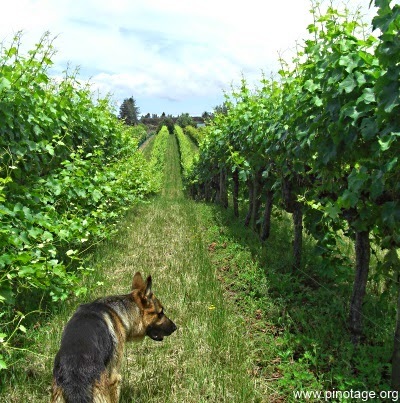 As reported in my book, Heather and John Ollsen had seven rows of Pinotage planted on their own roots -- the South Island is mostly phylloxera free -- which was made into a three-way blend with 40% Cabernet Sauvignon and 20% Syrah called Robert the Bruce. The property, which changed hands in 2011 has been renamed Terra Sancta and the last Pinotage blend was the Terra Sancta Mysterious Red 2011 vintage. None is left at the winery. I am looking for it in wine shops, but with little hope. Terra Sancta tell me they do intend planting three new varieties, including Dolcetto and Tempranillo to make a Mysterious Red blend in the future. But Pinotage is not in their plans.